Based on Shakespeare’s play of the same name, As You Like It is a film adapted and directed by British director Kenneth Branagh. It was released in the UK in 2006, and then to American television in 2007. Known as a creative director of Shakespeare, Branagh is particularly well known for bringing the Bard to contemporary audiences in ways that help people understand his complex language. He is also known for mixing actors from British theater and American Hollywood and for pulling on international talent. The cast of As You Like It is a good example of this kind of blending. Brian Blessed, a well known actor in British theater, has a double role in the film as Duke Frederick and Duke Senior. Bryce Dallas Howard, daughter of American actor and director Ron Howard, stars as Rosalind, while English actress Romala Garai stars as her friend Ceila. Well known American actor Kevin Kline has the role of Jacques, and Alfred Molina, considered British-American, plays the comic role of Touchstone. David Oyelowo, who plays Orlando, is British but was born of Nigerian parents. International casting is not the only interesting element of As You Like It. 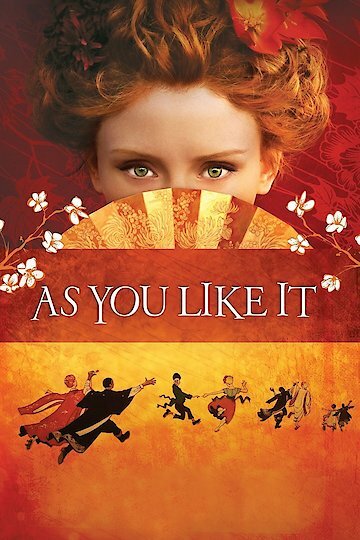 Branagh has reimagined the setting, moving it from fabled England to 19th century Japan. That colors everything in the film, from costumes to gardens to music. While Ninja warriors and Kabuki theater are not typically part of Shakespearean films, Branagh puts them to creative use to help bring the story to life for new audiences. The story mostly involves the mixed-up romances of three couples: Orlando and Rosalind, Oliver and Ceila, and Touchstone and Audrey. Their exiles in a magical forest provide plenty of madcap action and comical antics, as well as opportunities for grand Shakespearean speeches. As he does with many of Branagh’s films, Patrick Doyle composed the music. As You Like It is currently available to watch and stream, download on demand at Amazon Prime, Hulu, HBO NOW online.